Amritsar is located in the northwest of India, very close to the border with Pakistan, and is the capital of the picturesque province of Punjab. Honestly, according with all the references, Amritsar seems to be a big, dirty, noisy, polluted and chaotic city, but all these downs are balanced by the fact that here is where we can find one of the probably most fascinating temples in the whole of India: the Golden Temple. 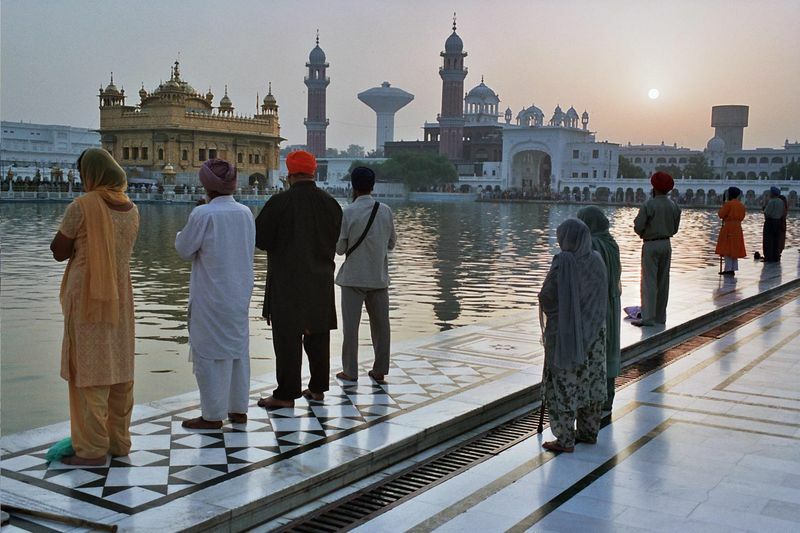 This temple, and, in extension, the whole city, is the holiest place of the Sikhs. This religion, unknown for us until these last times, but that in fact is the fifth more followed on earth, was born only 500 years ago, as a response to the elitism of the hindu cast system. For this reason, sikhism promotes equality and fraternity between all people, with indiference of any kind of origin. The other main attraction in Amritsar is not in the city itself, but at the border with Pakistan, about 20 kilometers away. Every day, when it gets dark, takes place the official ceremony of the closing of the border, and it seems that both sides, remembering not so ancient times of open conflict between both countries, do it in a very theatral way. We don't know if we will have time to go, but they say it is an amazingly interesting experience and a major tourist gathering. Besides the conventional hotels that surely are in Amritsar, this being a pilgrimage place for the sikhism devotees, the city boosts a good number of free guest house for them, named gurudwara, where non-devotees are also entitled to go, if there is enough sace. Not going there in any special date on the sikh calendar, we don't think it will be a problem to get some place, so this will be our intention. It will be a good opportunity to get to know the local culture and the well known hospitality of this area and religion. Anyway, though is free, we must say that a donation for the stay is more than welcome. 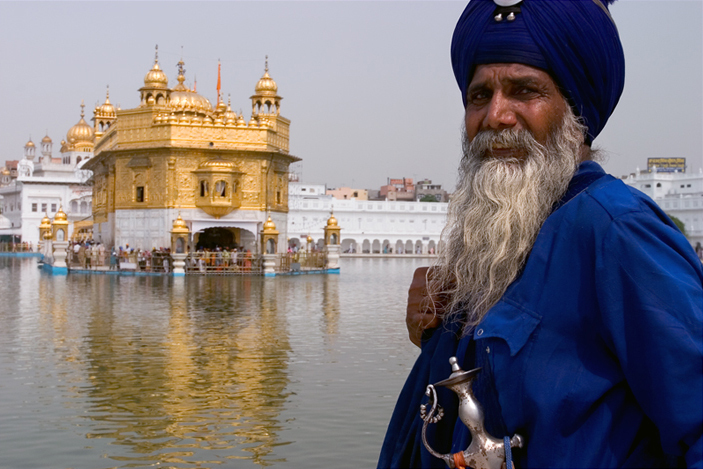 The first of the many overnight trains that we will take in India will be the New Delhi - Amritsar the december 7th, which departs the capital at 19.35, and gets into Amritsar at 6.15 in the morning. Between both cities there are about 500 kilometers, and the chosen class, in this one and in all the following trains, will be the non-AC sleeper, which provides simple bulks and is the most common between local population. The prices are, honestly, very cheap. This journey costs, for example, about 20 NOK per person.